Showing 341–343 of 343 results. 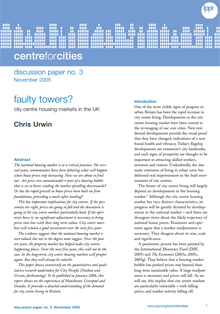 This report provides a detailed understanding of the demand for city centre living in Britain. 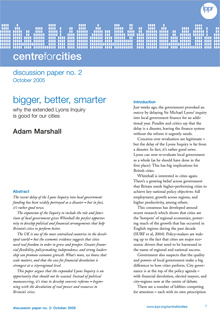 This paper argues that the expanded Lyons Inquiry is an opportunity that should not be wasted. Instead of political manoeuvring, its time to develop concrete reforms beginning with the devolution of real power and resources to Britain's cities. 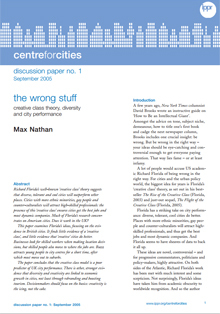 This paper concludes that the creative class model is a poor predictor of UK city performance. There is other, stronger evidence that diversity and creativity are linked to economic growth in cities, not least through rebranding and boosting tourism. Decisionmakers should focus on the basics: creativity is the icing, not the cake.